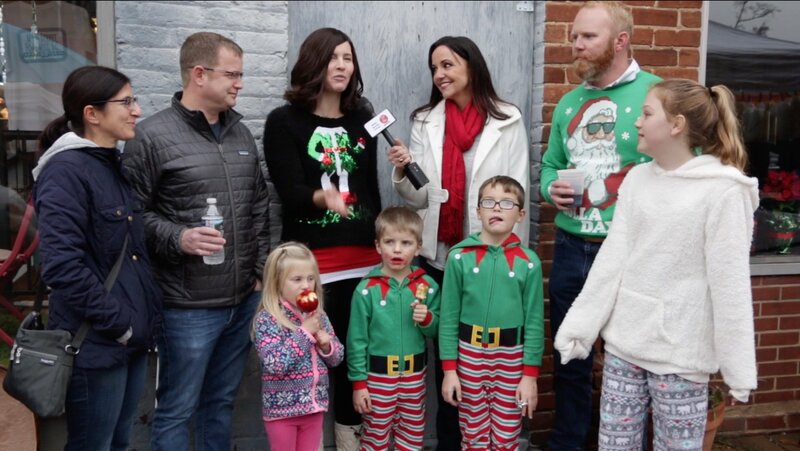 Main Street Fort Mill comes alive for Christmas during Jingle Jam. 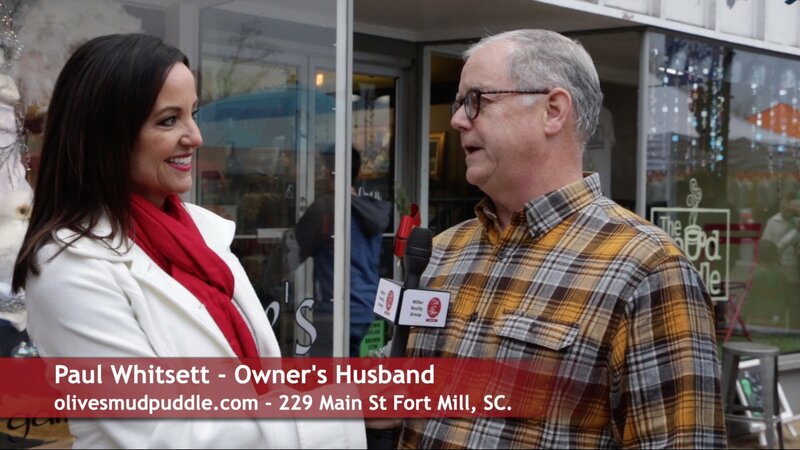 Watch this Talk of the Town Carolinas video featuring the Fort Mill Main Street and why it should be on your holiday shopping and dining to-do list. Hosted by the Main Street merchants, The Jingle Jam was December 15th from 12pm – 6pm. 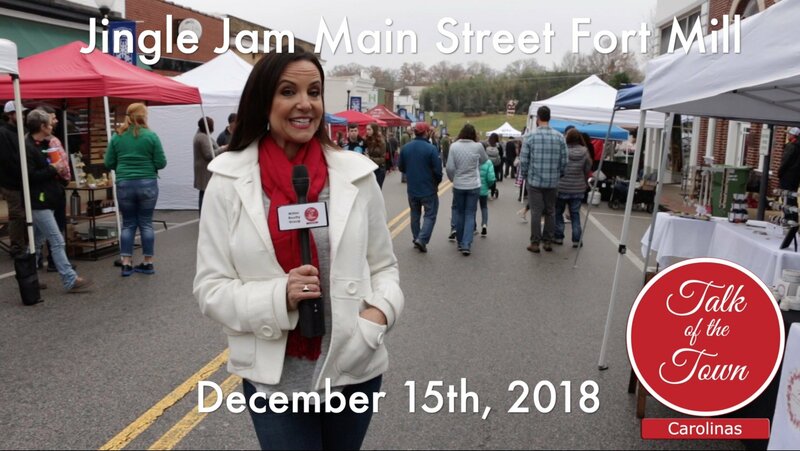 The event helped Main Street Fort Mill celebrate the holidays during the third Main Street Jam! 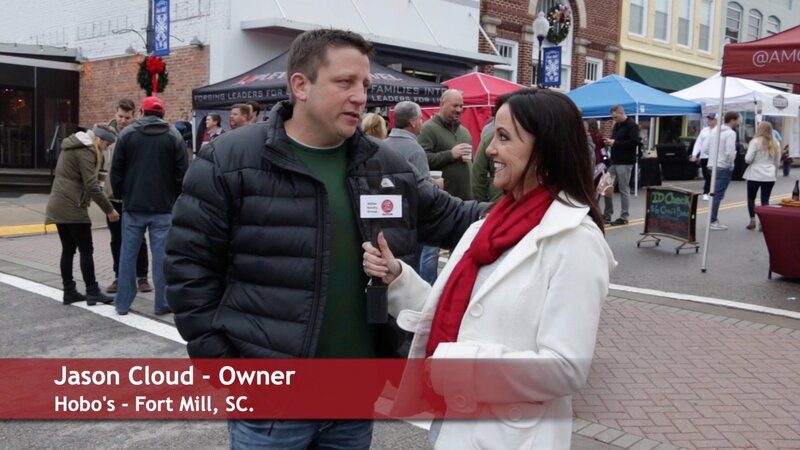 There was Christmas shopping, music, food and beverages (some 21+) and pure Fort Mill fun.? See how the Fort Mill Main Street continues to grow with restaurants, breweries, art stores, antiques, and gift stores. Also featured in this video is Olive?s Mud Puddle which is a unique shop providing Specialty Coffee, an Art Gallery, Gifts and art studio. This video marks the 200th episode of Talk of the Town Carolinas. Happy 200!